HTC has finally, in an official announcement unveiled its long awaited high-end mobile device called HTC HD2 which was previously codenamed as Leo. HTC HD2 is powered by Microsoft’s newly released Windows Mobile 6.5 and will be the first Windows phone to feature multi-touch support through HTC Sense (aka HTC TouchFLO 3D 2.5) which up till now was only available on the company’s Android-based handsets like HTC Hero. HTC HD2 made the headlines quite a few times earlier as well and was already speculated to be launched some time in October 2009. Most of its specs were already known to users through different tech sites. However, the information now released is official, and it can be said that those who had been waiting since long for this, have all the reasons to be happy! The high resolution 4.3 inch 800 x 480 capacitive display, 5 Mega-pixel auto-focus camera with flash and virtual QWERTY Keyboard which should work great on its large multi-touch screen coupled with its thinner design than an iPhone makes it an awesome device. The same applies to its Qualcomm’s new 1Ghz Snapdragon mobile processor which should deliver enough power for a great responsive and smoother end-user experience. The phone also offers fast viewing, zooming and resizing for browsing Internet, Microsoft Office documents, PDF documents and pictures. In addition to this, the new HTC Sense for Windows phone which is designed on the three principles – Make it Mine, Stay Close and Discover the Unexpected provides finger-friendly and rich high-end user experience than any of the available Windows phone in the market. HD2 also features a digital compass, a 3.5mm jack plug, proximity and ambient light sensor, the Opera Mobile browser, media player, RDS radio and the GPS-friendly NaviPanel software program. HTC have also slipped in some great connectivity features too, with tethering via Bluetooth and USB, plus a Wi-Fi Router system, where the phone can act as a Wi-Fi router, providing wireless data to your PC and other wireless gadgets. HTC HD2 is expected to be on sale by November of this year in Europe first, before rolling out in other parts of the World for an expected retail price of US $800. Whether or not HD2 will prove to be an iPhone killer will mainly depend on how good Windows Mobile 6.5 with HTC Sense performs along with how quickly famous developers starts porting their apps to Windows Marketplace for Mobile. Apple’s iPhone with its over 75,000 apps has got a massive lead when it comes to number of quality applications being available, and the large developer-base around the platform. 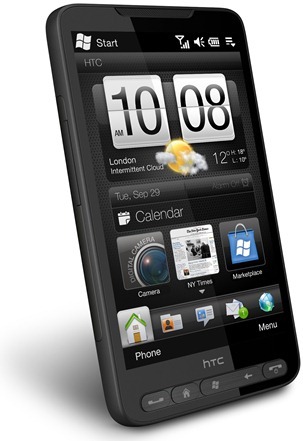 For a a detailed Head-to-head comparison between HTC HD2 and iPhone 3GS, check out this article. I've had the phone for a couple of weeks now and I can't say I am completely impressed. While the graphics are amazing when looking at pictures or watching videos, then functionality of the phone just isn't as good as the Iphone. The navigation just isn't as seamless as the Iphone. It takes several steps to get “place-to-place” on the phone. In addition, the available apps arent' that good, especially the Facebook app. The app doesn't update or have as many options as the Iphone app. While I know the processing power is much better than the Iphone, I guess the ease of use makes the Iphone still much better. I am hoping the Windows 7 OS makes the phone operate better. What app do you download for GPS navigation? I cannot find this in my list of apps. Is it free also? LARS: you need to download the bsb tweak app for your phone, and compact .NET framevork 3,5 too.